Mumbai: The Bombay High Court has granted bail to Sadhvi Pragya Singh Thakur accused of plotting the September 2008 blasts in Maharashtra's Malegaon, in which seven people were killed. Another accused, Lt. Colonel Shrikant Purohit has, however, been denied bail. The two have been in jail for over eight years now, though Sadhvi Pragya was moved to a Bhopal hospital recently for medical treatment. While rejecting a plea by a blast victim's lawyer to stay Sadhvi's bail, the High Court said "there is no material on record to prove prime facie case against her". "Sadhvi Pragya is suffering from cancer and has become infirm and cannot even walk without support. She cannot be treated for cancer at an Ayurvedic hospital in Bhopal," the court said. The court has also told Sadhvi Pragya, who has been released on a bail bond of Rs. five lakhs, to surrender her passport to the National Investigation Agency or NIA. Lt Col Purohit and Sadhvi Pragya had moved the High Court after a trial court rejected their bail applications last year. 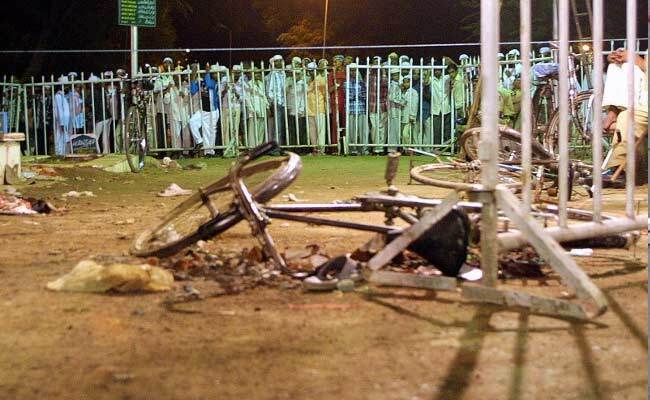 On September 29, 2008, two bombs fitted on a motorcycle exploded in Malegaon, around 270 km from Mumbai, killing seven people and injuring over 100. Sadhvi Pragya was arrested in October that year and Col Purohit in November and both were charged with plotting the blasts as part of a pro-Hindu group, Abhinav Bharat. Last year, the National Investigation Agency (NIA), which handles terror cases, dropped charges against Sadhvi Pragya and five others saying there was insufficient evidence to prosecute them. She was, however, denied bail by the Mumbai trial court, which questioned the NIA dropping charges against her. The NIA has recommended prosecuting Lt Colonel Srikant Purohit for conspiracy and under the Unlawful Activities (Prevention) Act, though it had dropped charges under the stringent anti-terror law, the Maharashtra Control of Organised Crime Act or MCOCA, against him and nine others. Lt. Col Purohit is accused of floating the Abhinav Bharat, collecting huge funds and using them to procure arms and explosives and also organising meetings where the Malegaon attack was planned. His lawyers argued that the statements of witnesses against the Army officer are fabricated. They also said that due process was not followed in prosecuting him as an officer of the Indian Army. Lt Col Purohit has all through pleaded that he was assigned by military intelligence to infiltrate various terror organisations and that his superiors were constantly in the loop about his actions and associations with Abhinav Bharat. In April last year, he had written to Defence Minister Manohar Parrikar, claiming he had been falsely implicated in the case. "I have been robbed of honour, dignity and rank and punished for serving the nation," the letter read. The Malegoan blasts case was first investigated by Maharashtra's Anti-terror Squad, with its chief Hemant Karkare leading the probe. Mr Karkare was killed battling the Lashkar e Taiba terrorists who attacked Mumbai on November 26, 2008.